It’s taken as a given that the more schooling we get, the better off our lives will be across the board. But a new study published Wednesday in The BMJ reaffirms a hidden health risk of higher education. The more years of school someone gets, it turns out, the greater the chances of them becoming near-sighted. For more than a century, observational research across the world has pointed to the peculiar link between education and nearsightedness, otherwise known as myopia. But these studies can only show us that the link exists, not prove whether one causes the other. Maybe people who need glasses for their myopia early on in life lean toward becoming book-smart as they grow up, or perhaps other factors explain both, such as your family’s income level. Traditionally, the best way to know something causes something else in science is to run a randomized, controlled trial, but that would be unethical and virtually impossible to do in this case: no parents would volunteer to keep their kids away from school for their entire lives. So instead, the authors of this current study turned to a relatively new type of research method that relies on people’s genetic footprints, known as Mendelian randomization. 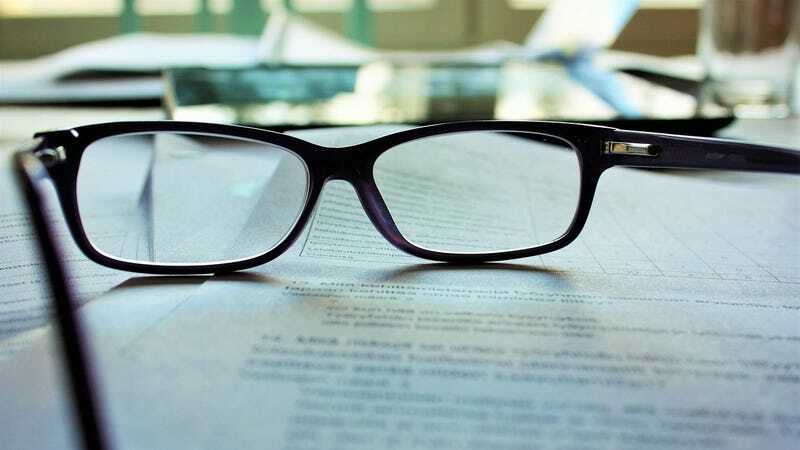 In the current study, the team looked for genetic variations linked to more education and myopia in a sample of nearly 70,000 people from the ages of 40 to 69. The people had been enrolled in a long-running study, known as the UK Biobank study, of how genetics can affect people’s health. Then the researchers compared people likely to have more years of education, based on their genetics, to those who weren’t, seeing which group had higher rates of myopia. They also studied people who had a genetic risk of myopia, to see if they were more likely to have more education. People with variants linked to higher educational levels were more likely to be myopic, the team found. The reverse wasn’t true of people predisposed to myopia, strongly suggesting that myopia itself had no influence on someone’s level of education. “Our results suggest that education is one of the drivers behind higher myopia rates, particularly in populations where children are exposed to education from an early age,” Atan said. The difference wasn’t marginal either. Compared to someone who only graduated high school in the UK, the eyes of a person who graduated with a university degree had an average difference of -1 dioptres, a measurement of lenses refraction (the less dioptres, relative to perfect eyesight, the more myopic we are). That’s enough of a gap for someone to need driving glasses. And though myopia often stabilizes during adulthood, having severe myopia does increase the risk of worsening vision, even blindness, as we age. There are a few possible reasons why school helps cause myopia. Making our eyes constantly focus on close up objects (through, say, reading) in our early lives might weaken our ability to see far away, for instance. That might be especially true in Asian countries where schooling is particularly harsh and homework is given even in preschool, such as China. These same countries also have much higher rates of myopia—80 to 95 percent of young adults compared to 30 to 40 percent in the UK or U.S.
More research, including randomized trials, has pointed to a lack of natural light as the key driver, though. “Although reduced exposure to natural daylight may not be the sole mechanism to explain the causal relationship between education and myopia, based on the highest quality evidence available right now, the best recommendation is for children to spend more time outside,” Atan said. To that end, countries such as Taiwan have already started embracing polices to allow for more outdoor time during school, which seem to have slowed down rates. But more is needed in countries where myopia has become nearly univeral, according to Ian Morgan, a researcher at Australian National University who has studied myopia among Chinese children. “The first is limiting homework in the early school years, and the Chinese government has taken significant steps in this direction,” said Morgan, who is unaffiliated with the current study but contributed an accompanying editorial in The BMJ. The second is to stop pressuring kids from the time they reach preschool into needing to attend the most elite schools and classes, at least until they’re older, since “by then, the development of severe myopia is unlikely,” Morgan added. It’s estimated that nearly 5 billion people worldwide, or 50 percent of the population, will have myopia by 2050, while 1 billion will have severe myopia. I’m Terrified Screens Are Destroying My Eyes, How About You?